Place all ingredients in a large tupperware and whisk until smooth. The, place in the refrigerator for at least 4 hours or overnight. 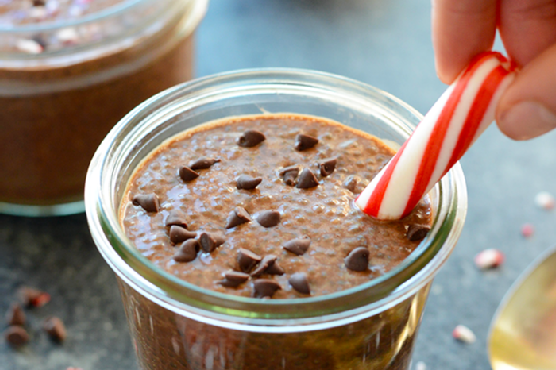 Serve with crushed peppermint and chocolate chips.